Hello Friends !! 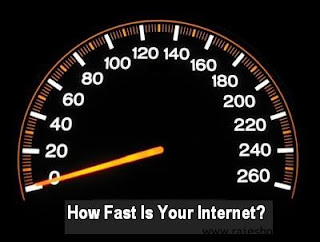 Today I tell You How Increase the Internet Speed In Simple Way So Read Full Step by step try this.The following post will tell you some methods to increase your internet speed. I will show you some ways to increase your net and browser speed…..
Computer Configuration -> Administrative Templates -> Network -> QoS Packet Scheduler. after that, you should see something like “Limit Reservable Bandwidth”. Modify that and set it to “Disabled”, or you can put it to “Enabled” and change the value to 0. Now this will increase your internet speed by 20%. It enhances your internet speed irrespective of the Operating System you are using …..